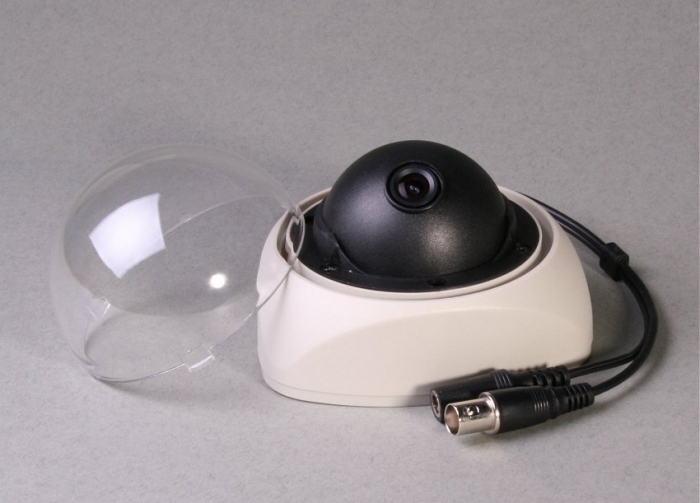 A simple and cost effective internal dome camera. The fixed 12mm lens gives a very tight angle of view which improves detail capture, all be it at the expense of area covered. Suitable for targeting specific areas. 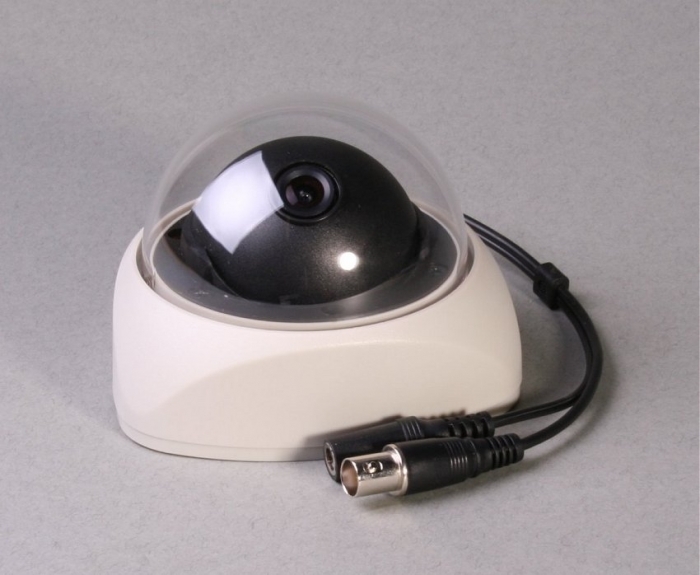 These cameras do not have built in Infra red illumination and so won't work in total darkness. Consider using a varifocal lens camera which can be adjusted during installation to balance detail capture with area covered. Light weight and suitable for use with suspended ceilings.